A father’s odyssey. A mother’s secret. A son’s story. 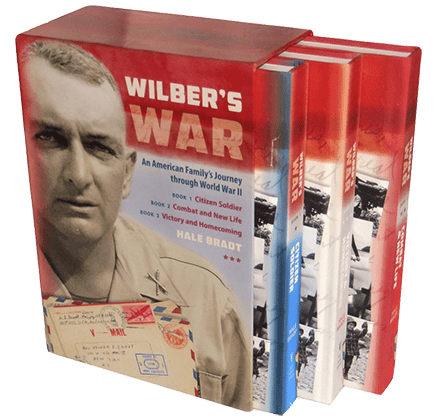 The trilogy, Wilber’s War (boxed set, hardcovers, ISBN 978-0-9908544-0-1; also E-books), is a well edited collection of some 700 letters from the South Pacific during World War II, providing insight into that combat from the perspective of an artilleryman of the US Army. It chronicles the story of two ordinary Americans, Wilber and Norma Bradt, during an extraordinary time. It offers fresh insight—on a deeply personal level—into the historic conflict in the Solomon Islands, New Guinea, and The Philippines, and by a family on the home front. It is an epic tale of duty, heroism, love, infidelity, and the tragedy of suicide. 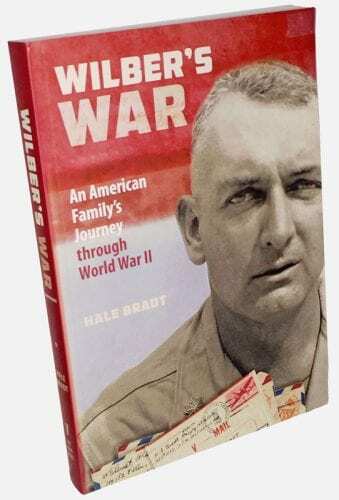 Wilber’s War (softcover, ISBN 978-0-9966939-0-5; hardcover -4-3, also audio and E-book) is a one-volume distillation of the trilogy, thoughtfully executed by the author. It tells Wilber’s entire story efficiently in its 358 pages and 95 illustrations (2 charts, 21 maps, 72 photos/facsimiles). Like the trilogy, approximately one-half of the content consists of segments from Wilber’s letters while the balance is context provided by the narrator/author, Wilber’s son. This work immerses the reader into the life of a soldier in the Pacific War. The trilogy offers the reader a fuller immersion with additional letters and photos in books of archival quality. Wilber’s War portrays a family in the America of the early 20th Century, leading up to and including the Second World War. Wilber’s letters are vivid and highly literate. He wrote with candor, often with humor, and in detail of censorable battlefield events; those letters would be mailed when censorship was lifted. Alongside the social and psychological value of the letters, they provide a stunning first-person description of war told in its midst. 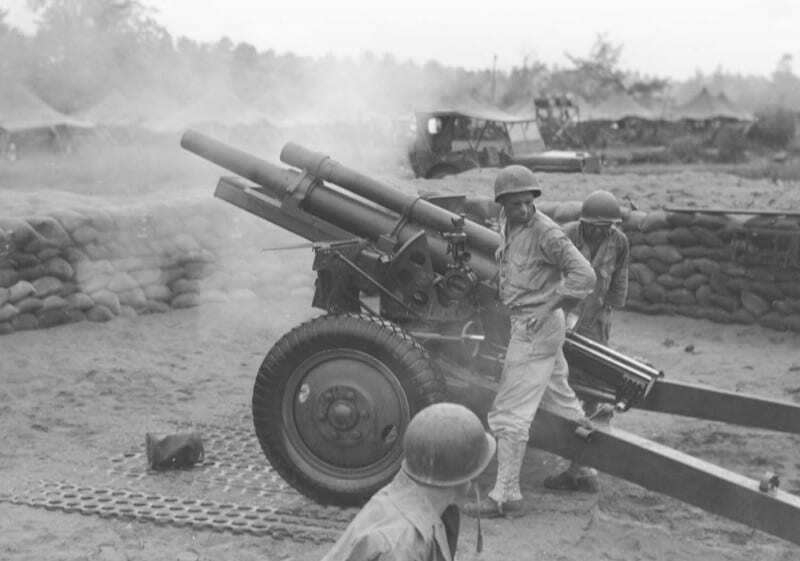 It is an army story of the Pacific War—not the oft-told marine and navy stories— and it reflects the mores of the time; patriotism was strong and some topics remained unspoken. Skillfully juxtaposed are the backstory of the family at home, the wider aspects of the war, the author’s visits to the battle areas, and his search into the hidden facets of his parents’ story. The following outlines the contents of the three books of the Wilber’s War (trilogy). They are sold in print only as a set with slipcase. The single-volume Wilber’s War includes all the elements outlined here. Book 1, Citizen Soldier (368 pp., 2 charts, 7 maps, 81 illustrations), opens with Wilber’s untimely death at war’s end. It then reaches back into the Midwest origins of Wilber and Norma, their establishment of a family, and the development of their careers during the Great Depression of the 1930s. It then follows Wilber through army training camps, shipment overseas, a shipboard torpedo plane attack, and bombing raids on the front lines. Norma, meanwhile, moves to New York City with her two children, to further her career ambitions. Book 2, Combat and New Life I (384 pp., 2 charts, 14 maps, 106 illustrations), carries Wilber into direct combat in the Solomon Islands as an artillery battalion commander while Norma copes with an unexpected crisis in New York and adjustments in her relationships with her children and husband. Wilber’s letters track his evolving relationship with Norma while creating a vivid inside view of jungle combat and then of life in New Zealand for American soldiers newly re-introduced into a western society. Two “Interludes” in the author’s words describe his visits to the Solomons and New Zealand where, 40 years later (1983–84), he sees first-hand the locales and the people Wilber had known, sometimes with surprising results. Book 3, Victory and Homecoming (360 pp., 2 charts, 18 maps, 82 illustrations), follows Wilber into new combat in New Guinea just as Norma makes a bold move to readjust her life. 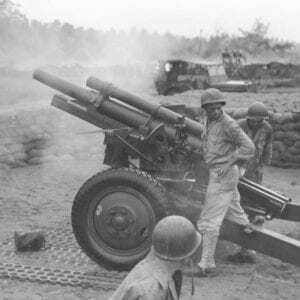 The invasion of Luzon in the Philippine Islands follows. It is on the scale of the Normandy invasion but mounted from bases thousands of miles away. There, Wilber is in combat for six months and experiences numerous “special times,” three of which each merit him a Silver Star. (The author’s 1983 visit to Luzon is described in another Interlude.) After the Luzon combat, preparations for the invasion of Japan begin, a move guaranteed to be a bloodbath. The story concludes with Wilber’s voyage to Japan in the occupation force, his return home, his death, and its aftermath.